If you have been trying to find trustworthy Birmingham carpet installers near you, we are pleased to say that you have just found the best in the business. Here at The Carpet Guys, we are able to provide you with the greatest flooring services you will ever receive. The installers on our team provide customers with the most professional Birmingham carpet installation services around, and it can be seen in their craftsmanship. If you request it, our installers can move the furniture in and out of the rooms and also rip up the old flooring for you. Once the room has been cleared and the old flooring has been bundled up and placed outside by the curb, they will lay out the fresh carpet pad and install the new carpeting. After the install is complete, they can place the furniture back into the room upon your request. Do not spend any more time looking for someone to install your new flooring. 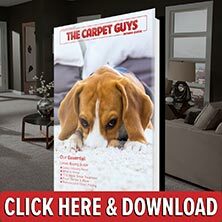 Get the best Birmingham carpet services and products here with The Carpet Guys today!